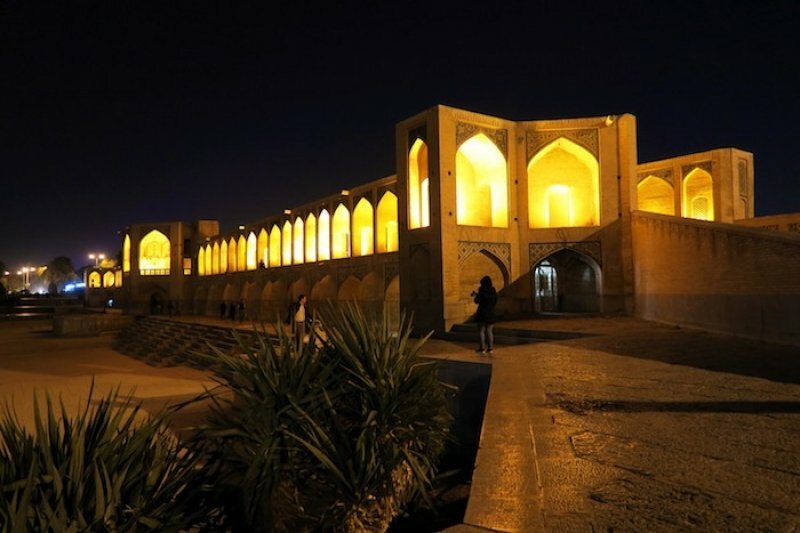 This two-day Isfahan itinerary covers the main city sights, such as Naqsh-e Jahan Square, the Armenian Quarter and the city’s famous bridges. So many places to visit, so let’s get down to it. A city in central Iran, Isfahan is a must-visit for its historical significance and its beautiful mosques, palaces and bridges. Isfahan was twice the capital of Persia, and many of its most striking buildings were constructed during the Safavid dynasty between the 16th and 17th centuries. The modern-day Isfahan is a charming mix of old and new, with many of the attractions still holding true to its traditional roots. It’s almost impossible not to love this city, considering what it has to offer. 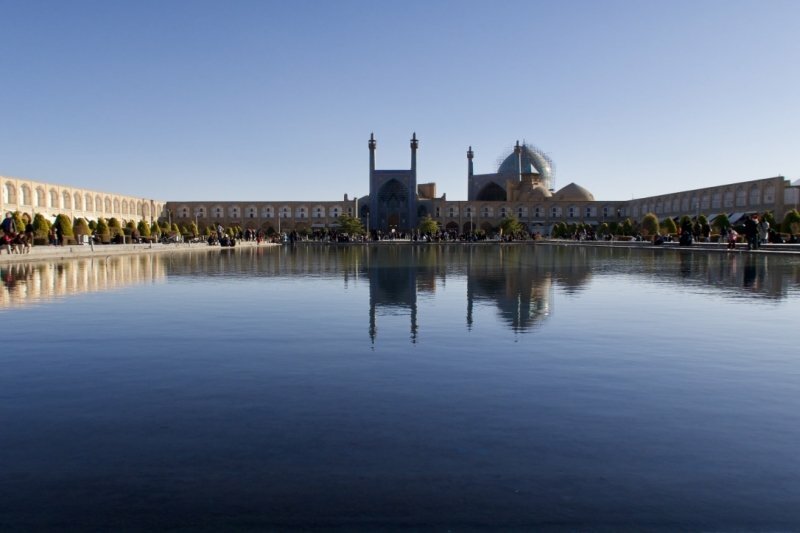 After breakfast, start your sightseeing in Naqsh-e Jahan Square, also known as Imam Square. This massive public square which was built by Shah Abbas the Great in the 17th century is the most famous attraction in the city. 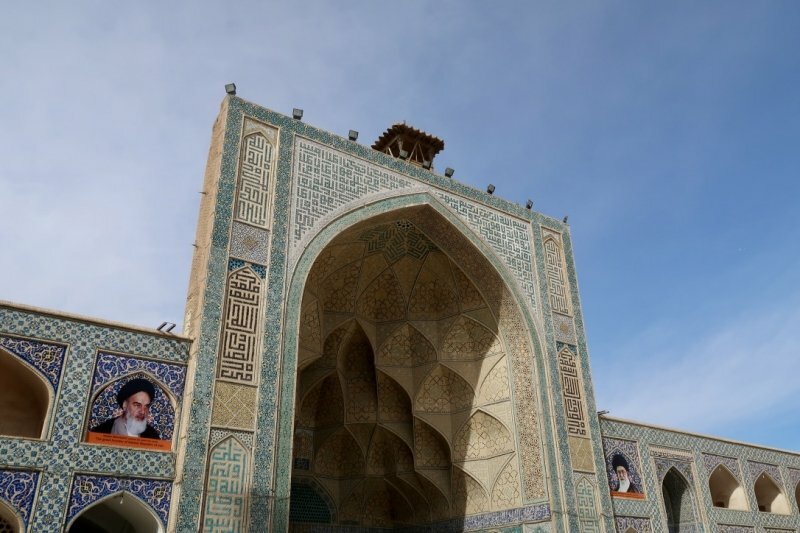 On the western side of the square is the Ali Qapu Palace; on the eastern side is the Sheikh Lotfollah Mosque; on the southern side is the Imam Mosque; and on the northern side is the Qeysarie Gate which empties into the labyrinthine Isfahan Grand Bazaar. With so much sightseeing to do, your time in the square will spill into the afternoon. When your tummy is calling for food, head to the north of the Sheikh Lotfollah Mosque; there’s a small courtyard with the Traditional Banquet Hall on the second floor. 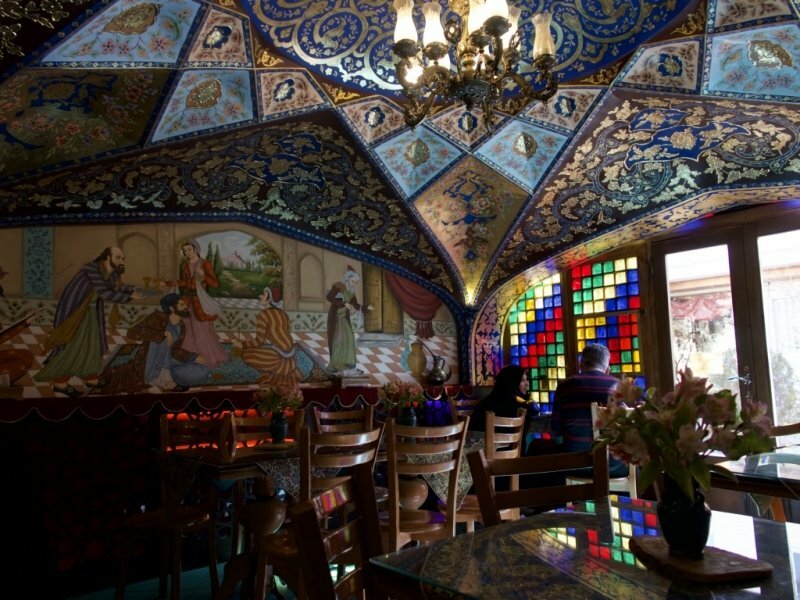 Sit cross-legged and enjoy the ambience, the colourful tiles and stained glass windows, and of course, the traditional Iranian foods. 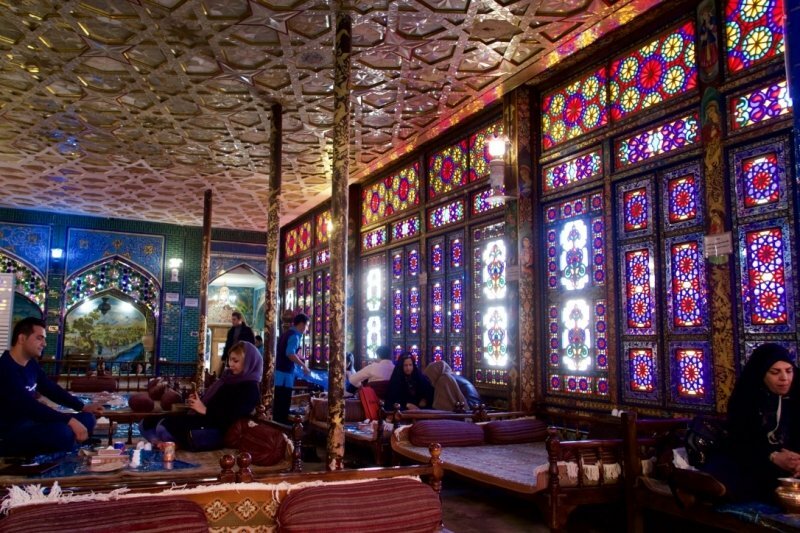 The nearby Azadegan Teahouse is a great place to drop by for a cup of chai after lunch. 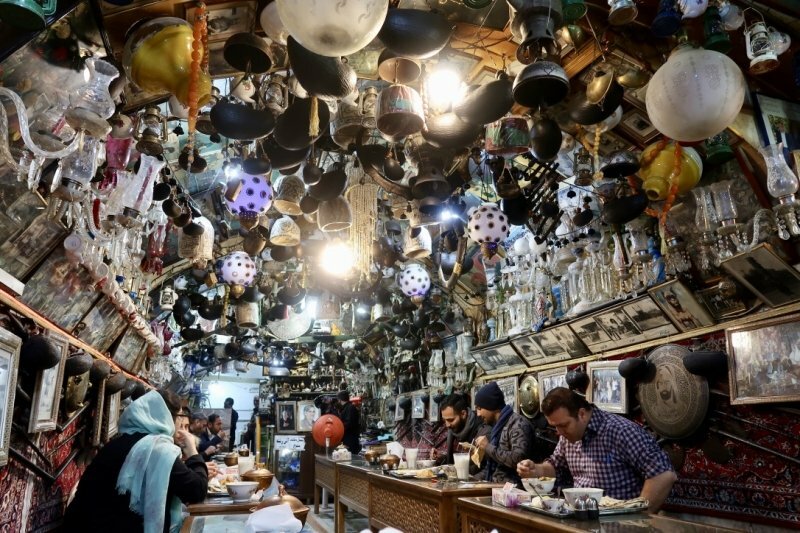 The antiques and bric-a-brac hanging from the ceiling and covering the walls culminate in an extraordinary clutter. The chai will be served in a pot alongside nabat, which is rock sugar candy to sweeten the tea, and gooshfil, a crispy golden sweet that’s dipped in honey. With lunch and teatime covered, you can continue your exploration of the square and its surroundings. 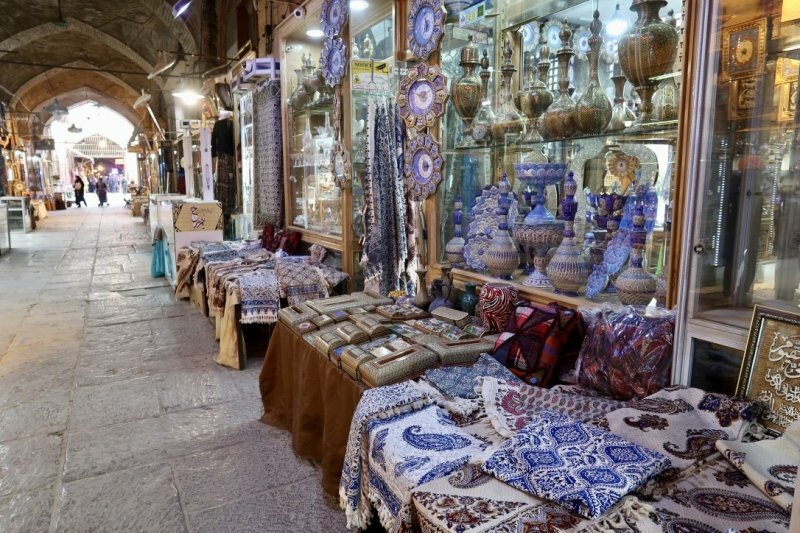 Enter the Grand Bazaar of Isfahan and wander along the alleys under the arched domes. The range of items sold is mind-boggling – carpets, handicrafts, spices, clothes, crockery and so much more. This covered bazaar leads all the way to the Jameh Mosque, which was constructed over 12 centuries and is now a stunning manifestation of mosque architecture and Islamic art over time. Just be sure to reach the Jameh Mosque before its closing time (either 4pm or 5pm depending on the season) if you wish to enter it. As the evening draws to a close, take a walk down Chahar Bagh e Abbasi Street. If you like, you can make a detour to the garden surrounding the Hasht Behesht Palace while on the way to Siosepol. 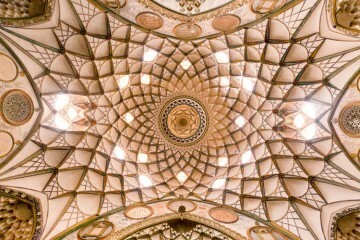 Constructed during the Safavid era with bricks and stones, the two-storey Siosepol is a popular hangout spot for locals. Its name translates to “Bridge of 33 Arches” and at night, these arches are illuminated in a wash of golden lights. If you’re lucky, the Zayandeh River would be flowing – but more often than not these days, the riverbed is parched. However, the beauty of the bridge is still apparent. 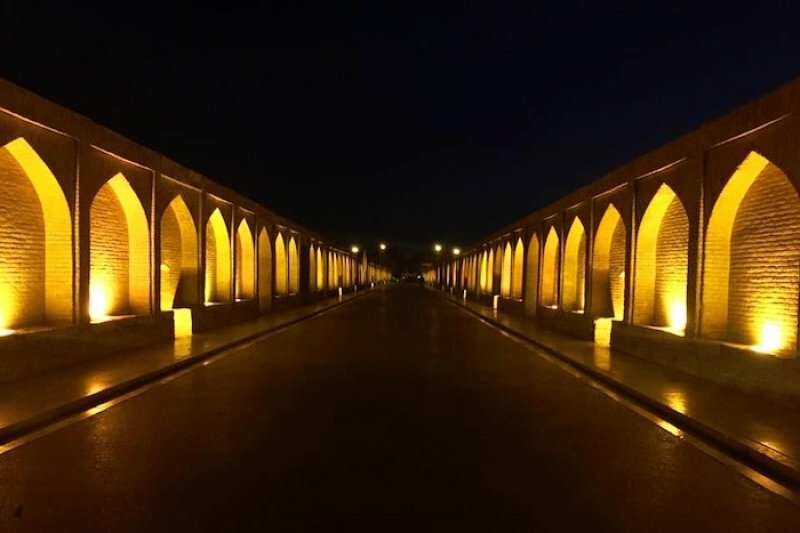 After enjoying the atmosphere in Siosepol, walk in the southeast direction to yet another one of Isfahan’s famous bridges, Khaju Bridge. While the Khaju Bridge was built under the rule of Shah Abbas II, it was overlaid on an older bridge and hence its history dates far beyond that. Under its lighted arches, crowds gather around locals singing in soulful voices. To conclude the day, have dinner in a restaurant that’s on the way to your hotel. To the north of the bridges, you can try Shahrzad Restaurant. 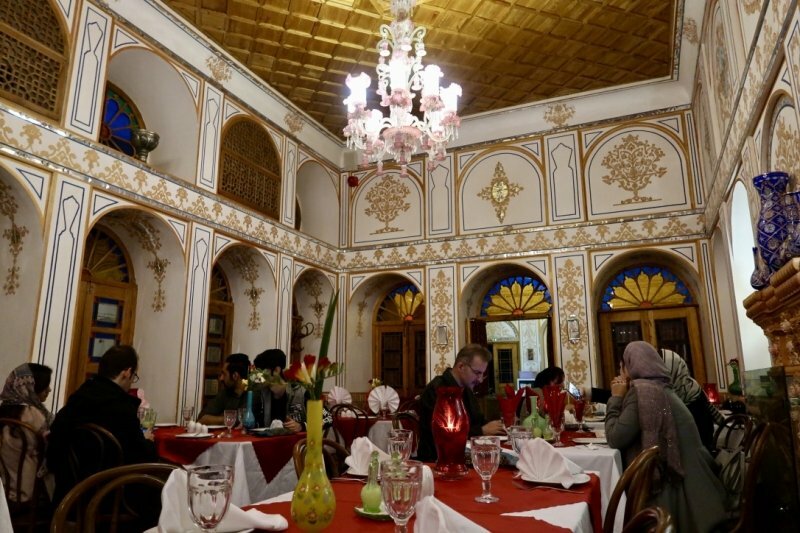 If you’re staying in Jolfa, you can try Khangostar Restaurant or Romanos Cafe and Restaurant, and if you’re famished you can try Arakhan Restaurant which is just south of Siosepol. If you love the outdoors, you can’t go wrong with this option. South of the city of Isfahan sits Mount Sofeh which is a beautiful place for a leisurely hike. 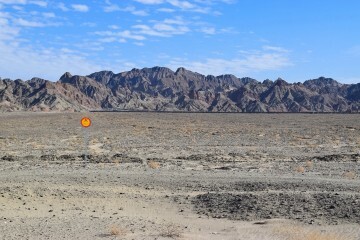 It takes about two hours to arrive at the summit, and the path is mostly paved, save for the last section near the top. Those with a moderate level of fitness can easily do this hike; otherwise, there’s also a park at the base of the mountain which is good for walking and picnics. 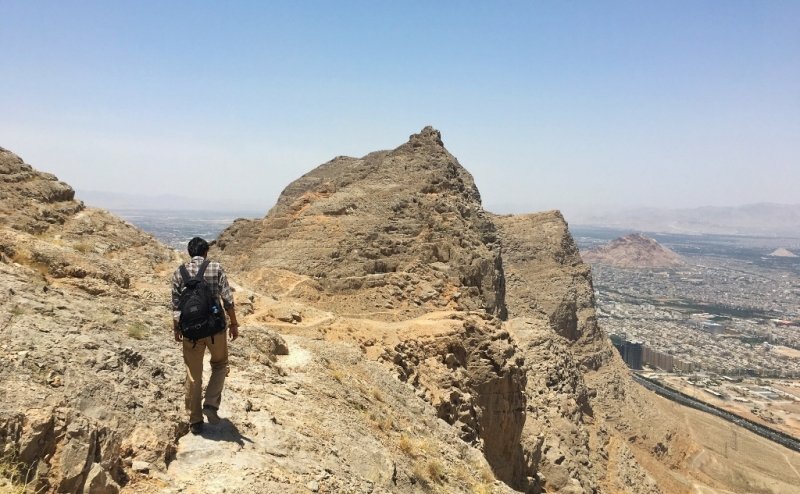 Don’t expend all your energy at Mount Sofeh, because there’s another short hike you can tackle before night falls. 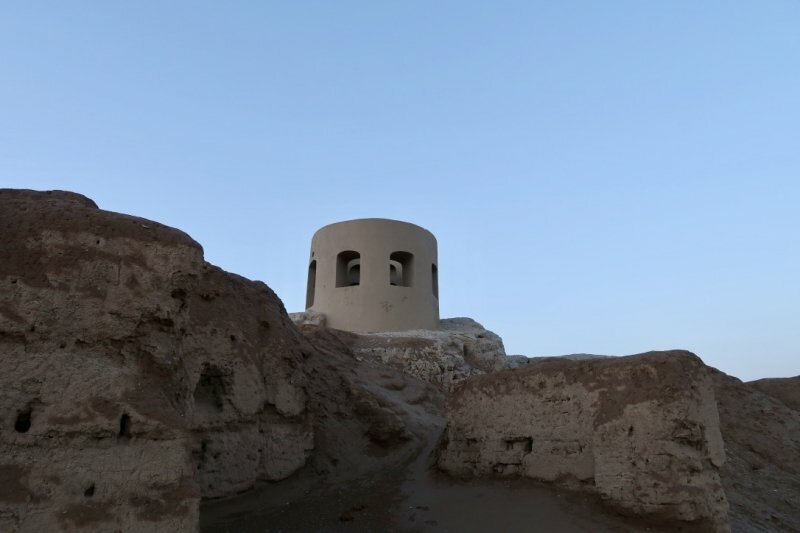 There’s a Zoroastrian Fire Temple, also known as Atashgah, at the west of the city centre, around 30 minutes from Mount Sofeh. The fire temple sits atop a hill which may look daunting from up close, but it really takes just around ten minutes up the rocky terrains to reach the top. What’s left of the fire temple are just some ruins but the view of the city from above is breathtaking. Alternatively, you can spend your second afternoon in Isfahan delving into the lesser-known attractions. Start off by visiting a shrine that’s small in size but wholly breathtaking, the Imam Zadeh Esmaiel. 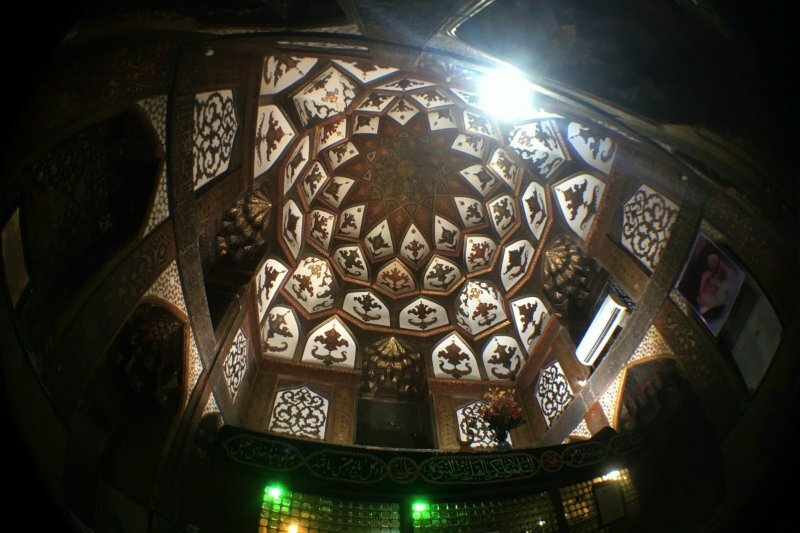 This shrine is dedicated to a descendant of Imam Hasan (the second imam of the Shia Muslims) and is a mix between Saljuqi era architecture and Safavid era decorations. Its beautiful dome is a show-stealer. Following that, make your way to Angoorestan Malek, or Malek Vineyard. While most of the vineyard is no longer present, the historical house has a central yard and dining room that are still standing. The stained glass artwork is the main highlight of this attraction. A 15-minute walk away is the Constitution House of Isfahan (or Khaneh Mashrouteh), which is a museum about the constitution period in Iran. Round off your afternoon in the Ali Gholi Agha Hammam, which has life-sized mannequins to demonstrate typical scenes in the bathhouse when it was in use. Built in 1713 by Ali Gholi Agha, this bathhouse has interesting details such as colourful tilework and water taps shaped like ducks. Jolfa is the Armenian quarter of Isfahan and it is located to the south of the Zayandeh River. Arrive well before 6.30pm, which is the closing time of the Vank Cathedral. 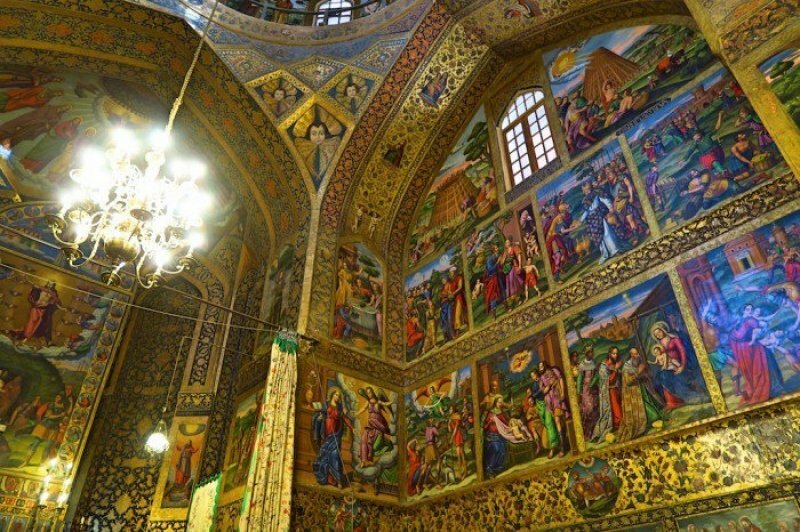 With its jaw-dropping frescos and murals depicting biblical stories, Vank Cathedral is the main reason why most tourists come to Jolfa. However, there’s plenty more to see and do. Jolfa comes alive in the evening with lots of youths and couples walking around, visiting cafes or going shopping. Simply soak in the vibrant nightlife and pop by a cafe or two when your feet are tired from walking. The cosy Bahar Narenj Cafe makes a great choice, not just for its outstanding interior but also their delicious shakes and herbal drinks. 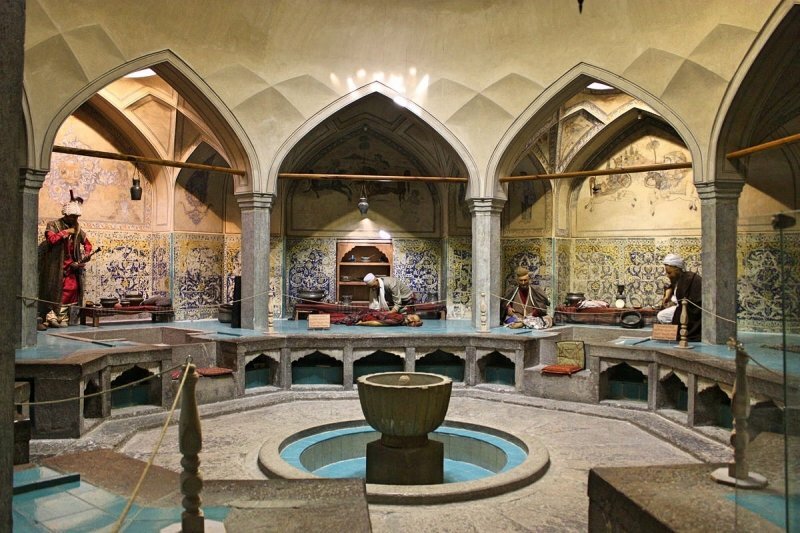 The highly-rated Isfahan Music Museum which is home to a collection of Persian instruments is also worth a visit, especially since all visitors get a live private music performance! Round up your second night with a fancy dinner in Toranj Complex. This historical house has been converted to a restaurant with an outdoor cafe in the courtyard. It has a beautiful traditional environment, spruced up with chandeliers, gold patterns on the wall and the occasional live music. 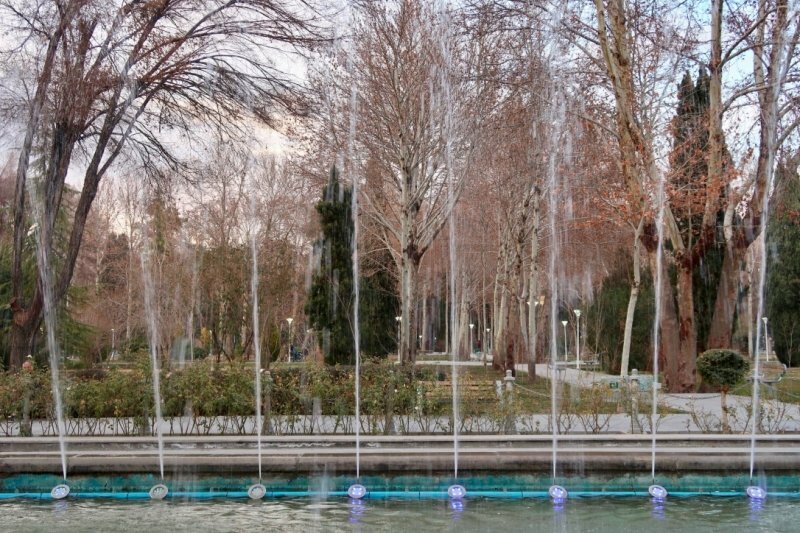 Check out this list of best things to do in Isfahan. Some of them are not mentioned in this itinerary, so you can take your pick, mix and match, and fill up your remaining days in the city. 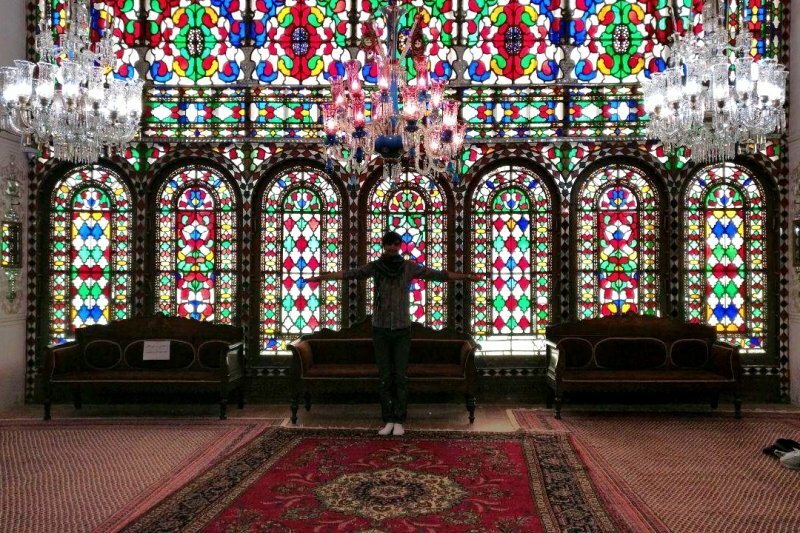 Rest assured, you can spend a week in Isfahan without even revisiting the same places! Budget: If you’re on a tight budget, it’s best to read up on the ticketed attractions to see which ones you’d like to enter as most of the tickets are priced at 200,000 Rials – a hefty sum once it starts to multiply. Food: Not sure what to order in restaurants? The basics of Iranian dishes you must try include the stews: Ghormeh Sabzi (herb stew with lamb and beans), Gheymeh (split yellow peas stew with meat and tomatoes) and Khoresht Bademjan (eggplant stew with meat and tomatoes). Of course, there’s a variety of kebabs too: Kabab Koobideh (made from ground lamb or beef), Kabab Jujeh (with tender chicken chunks, usually boneless) and Kabab Barg (grilled marinated sirloin). Another must-try Isfahani dish is the Beryani, which is minced lamb wrapped in a flatbread. Transport: An easy and affordable way to get around Isfahan is by using Snapp, the Iranian version of Uber or Grab. An English version is available. You simply need to locate your origin and destination on the map and the app will compute the fare before you request for a ride. To use it, download Snapp through the Iranian app store. Take note that you also need an Iranian number and hence an Iranian SIM card. For more tips on travelling around the country, check out this list of Iran travel tips.